Synopsis: The film features Mr. Walia (Arbaaz Khan) as a successful businessman who is keen to sell his dog. On the other hand Jack (Amit Sadh) as a new age detective who loves to read detective novels and he is totally passionate to buy a dog. 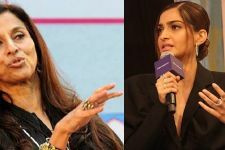 But, a fiasco emerges when Jack when falls in love with the idea of buying a dog and bumps into the businessman's wife Shilpa (Sonal Chauhan). The fiasco later turns into a love story and brings them together. 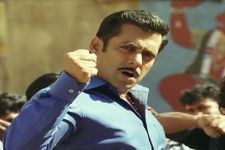 The film explores the characters very well, as it is the foundation and basics of the character which need to be defined according to the film. The characters are beautifully polished as the perfect casting has added much more meaning to the roles. The film stars Arbaaz Khan, Sonal Chauhan, Amit Sadh and Evelyn Sharma who tend to lighten up your weekday-stress with the apt performance. 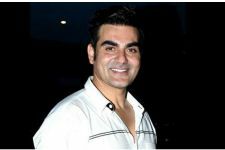 The film also marks the comeback of Arbaaz Khan on a comic front. He has done a wonderful job portraying Mr. Walia. The quirk to hold the audience's attention is the most important aspect of a comedy film. The one-liners and improvised scenes are the ones which develop a successful film. 'Jack & Dil' also emphasizes on good music composition as it sets you in a romantic theme. The songs are delightfully composed and the film lives up to your expectations. It is highly a unmissable family drama which makes you laugh at your heart out. The actors have done their part really well as they have done justice to their roles. It also serves you an all-new on-screen Jodi as it emphasizes on the respective quirks of the actors. The makers of 'Jack & Dil' have done quite an appealing job recreating the detective experience. The idea of walking around wearing a Borsalino hat and holding a magnifying glass searching for clues; is itself an extraordinary job. The concept of hiring a detective to keep an eye on his wife is truly unusual. The need for better cinematic experience is what makes you watch this film in theaters. 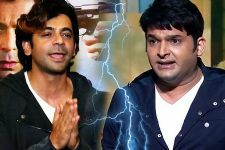 The pure creative content is what the industry lacks, and with the release of 'Jack & Dil', the comedy-drama tends to lighten up your weekend. But, the fact remains there are a few minor loopholes in the film which can be neglected as the need for entertaining content shifts the focus from dynamics of filmmaking. However, the film is highly unmissable family drama which makes you laugh at your heart out and worth every penny spent.